Holy unanticipated occurrences! From #1 New York Times best-selling author Kate DiCamillo comes a laugh-out-loud story filled with eccentric, endearing characters — a novel interspersed with comic-style graphic sequences and full-page illustrations, all rendered in black and white by K. G. Campbell. 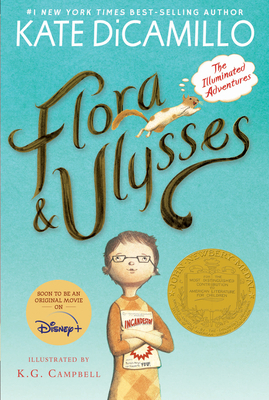 In Flora and Ulysses, longtime fans will find a happy marriage of Mercy Watson's warmth and wackiness and Edward Tulane's gentle life lessons. In Flora, they will find a girl worth knowing, and one they will remember.